I love the month of May. May starts and ends with a holiday and reminds me that summer is just around the corner. The roses are blooming in the yard and I usually manage to get a quick sniff in before they are destroyed by one or more curious dogs. 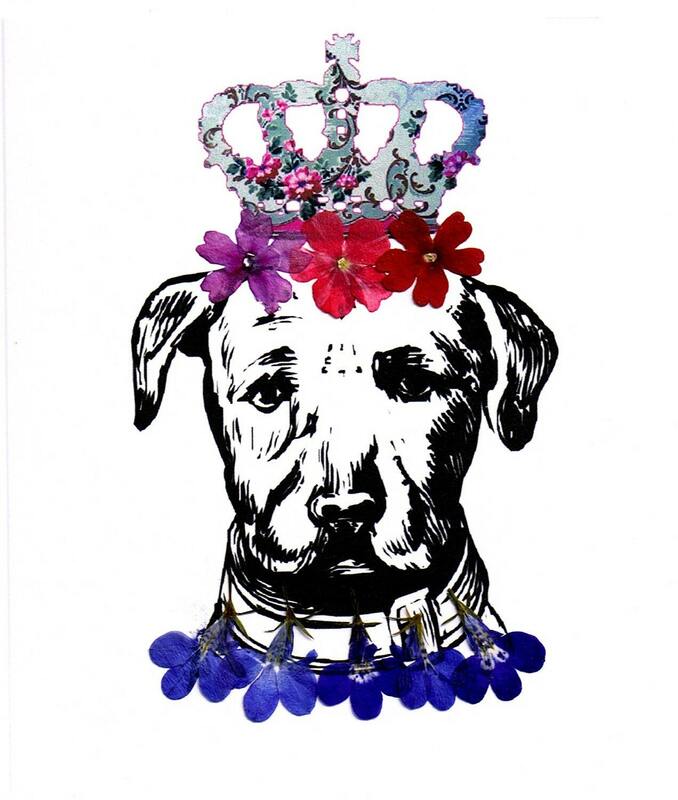 May Day (May 1) is celebrated at our dog house with a warm dog bath using lavender soap and a long walk with dog collars decorated with flowers. I try to save a flower for my late afternoon May Day refreshment. It reminds me that the lingering smell of wet dog in the house and the remnants of half-eaten flowers sprinkled around the yard define a "good life". 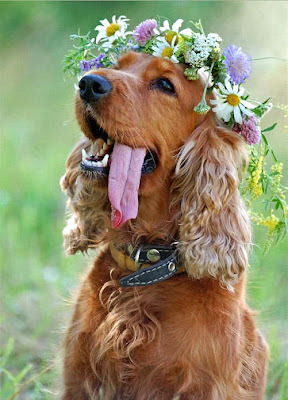 To help you and your sweet dog start celebrate this month of flowers and fun, I have posted a few floral goodies for you and your Sweet Dog. Hatz4Brats have a whole new twist in a floral motif. Each one, an individual work of art is made to order. Pink fleece petals frame your dog's face on a green background. Delicate ties under the chin keep this hat on. 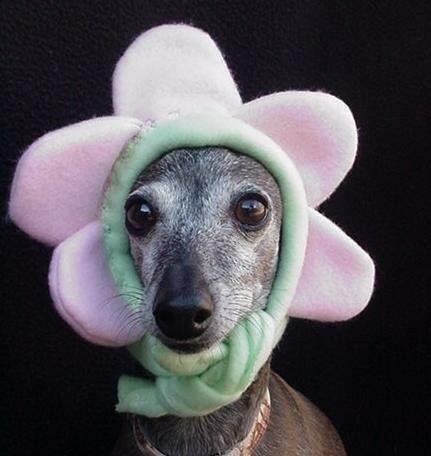 Most of my Hatz4Brats' customers say that this is the only headgear their pet keeps on. Every puppy deserves a stylish collar, and it doesn't get much better than this lovely yellow seersucker collar from Pecan Pie Puppies. The big, pink peony is wonderful. It's all your puppy needs to get through the dog days of summer! Puppy Pie offers this adorable black and white stripe dog sweater with pink underside in their Etsy store. I love the appliqued daisy with button centerpiece. Sturdy, durable, yet sweet and feminine. What can I say, ...I love these notecards. "Dogs Like Bling Too!" 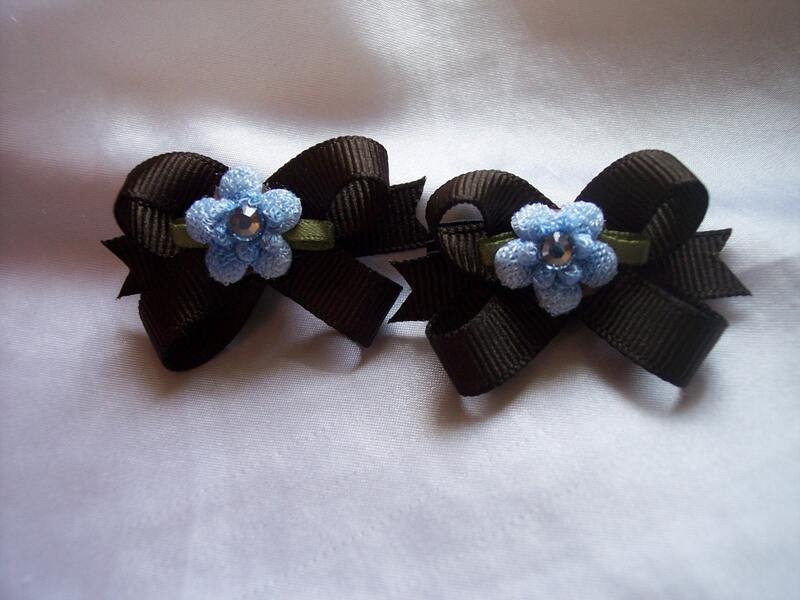 are handmade by Studio Flower Power. Made with real flowers, you can make your own statement with several different designs of these beautiful cards. 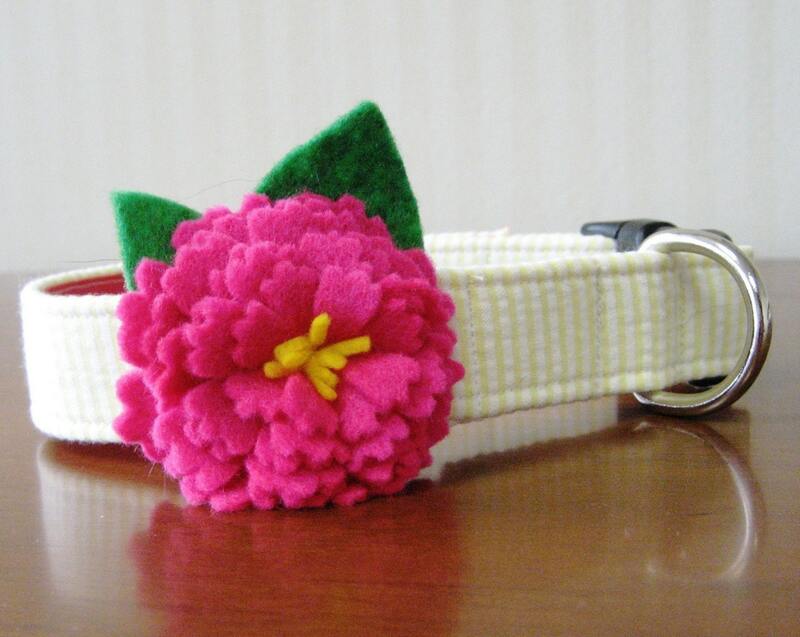 This cool collar from 3 pooches has a flower pattern outlined in black against a background of pink stripes. The collar is adjustable, triple stitching at the stress points and a Welded, nickel-plated D ring for leash and tag attachment. Love it! 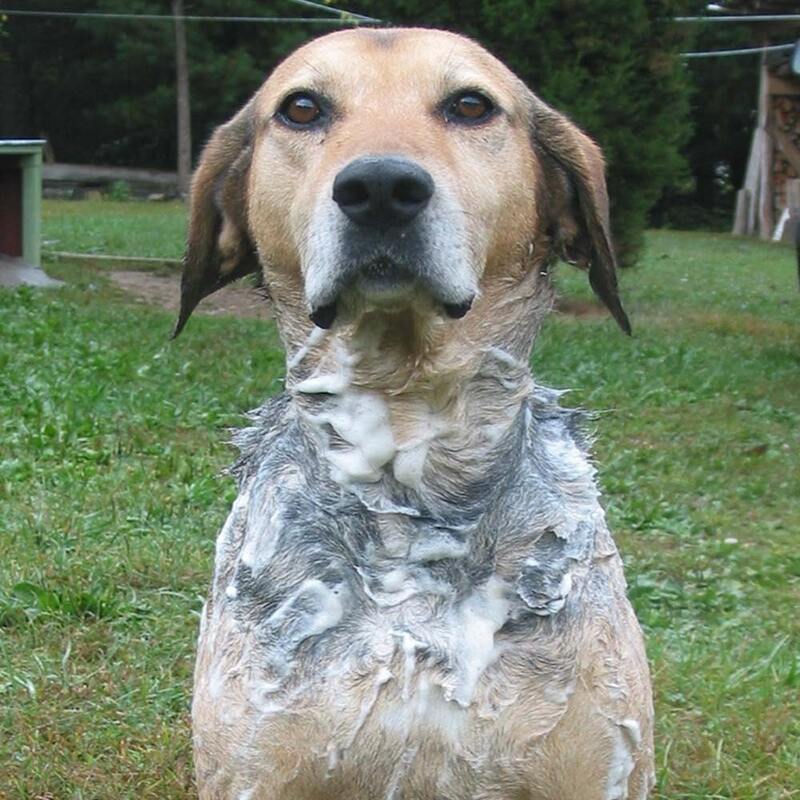 Native Sprout Soap make a great product for your best friend. This shampoo bar lathers like crazy and smells great. Your dog's sensitive skin will benefit from the olive oil, which forms a breathable film that prevents loss of internal moisture. What a good dog! 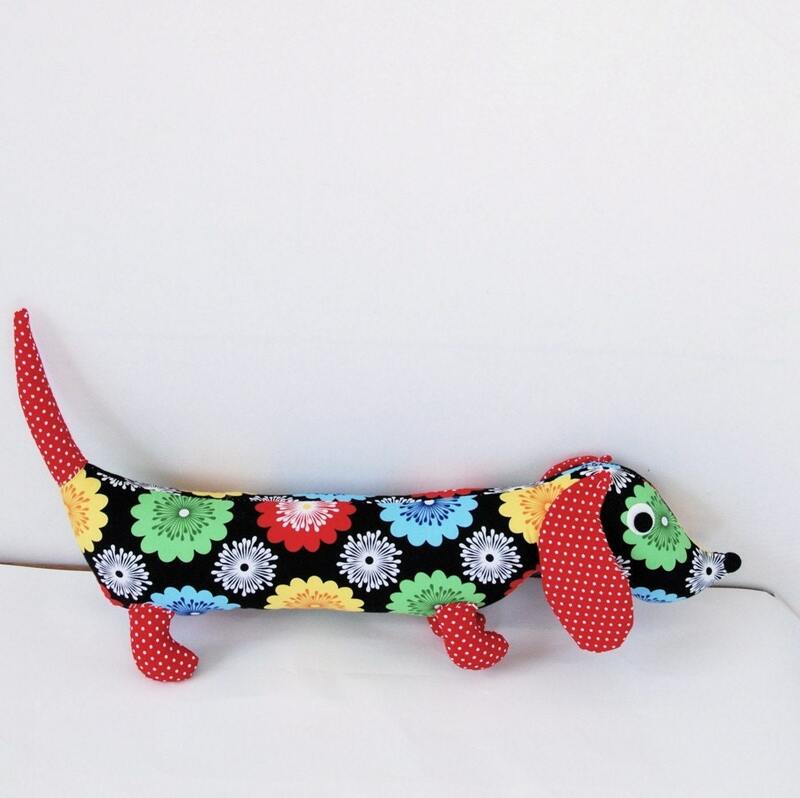 Everyone is going crazy for these colorful dachshunds with the cute little tails from Black Bird Fashion. These plush toys are safe for all ages, as well as being safe for dogs. Constructed from cotton fabrics that are backed by an iron on stabilizer for durability. They are stuffed with polyester fiberfill. The eyes and nose are wool felt circles that are adhered with a non-toxic glue. 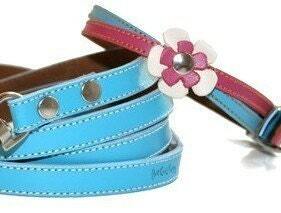 The Cool Puppy features the Candy Swirl Dog Collar features Pink and Blue swirls with a White and Pink lovely flower. Each collar and Leash Set is handmade with leather and a soft suede backing for your dog's comfort. 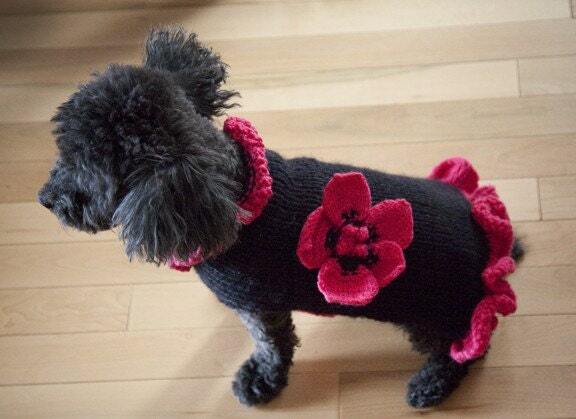 Pull Dog has captured spring with this lovely hand-knitted, wool sweater. It is irresistible! Check out their Etsy store. 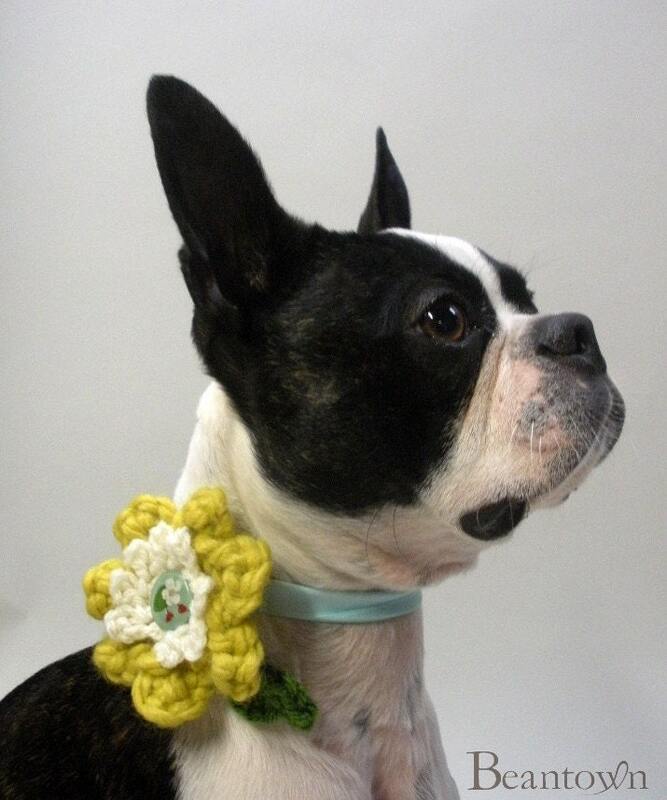 Beantown Handmade crochets this wonderful flower collar art. They easily slide on over the end of your pet's existing collar. The large citron and cream bloom is framed by a bright green leaf. The flower center is a lovely button with real dried flowers set inside. They work great for big dogs too! My labs look fantastic in them. Just in time for Spring! 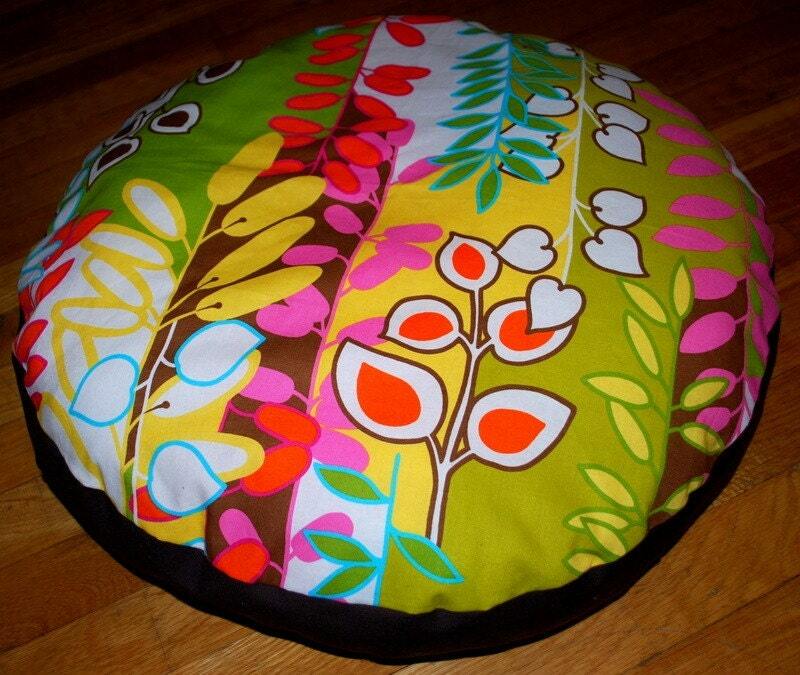 This cute round floral pet bed by Greenpoints has a solid brown border. It is perfect for cats and small dogs. Convo Greenpoints and they will customize the size! The Spoiled Companion offers a extremely gentle, great smelling soap with a wonderful lather. 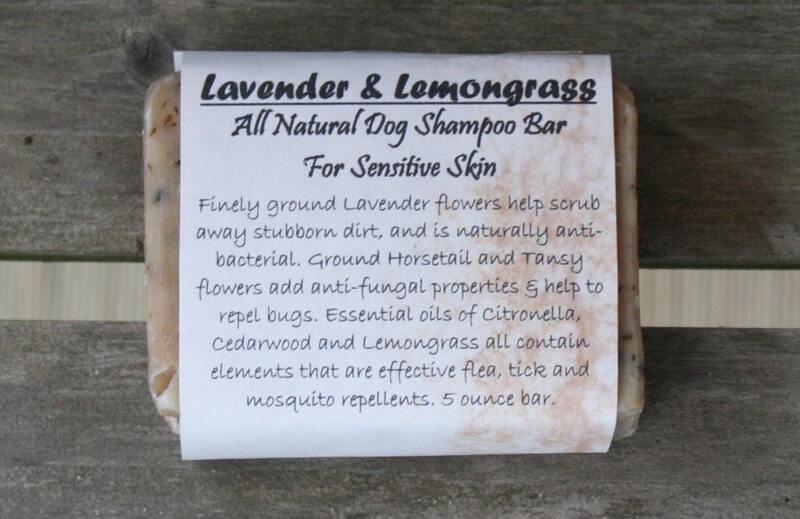 Finely ground Lavender flowers help scrub away stubborn dirt, and is naturally anti-bacterial. Ground Horsetail and Tansy flowers add anti-fungal properties and help to repel bugs. Essential oils of Citronella, Cedarwood, and Lemongrass all contain elements that are effective flea, tick and mosquito repellents. These dog bows from Snap In Bows are one of my favorite products. These unique snap in dog bows designed by a groomer. Use as an alternative to rubber band bows, or if you are looking for a bow that stays put much better than a clip or barrette!. Just put a wisp of fur ( about ¼” recommended) into the elastic and snap shut. Please note that the author did not receive products or compensation for the posting of the products listed in the blog entry. We are just trying to do the right thing for all the Sweet Dogs.